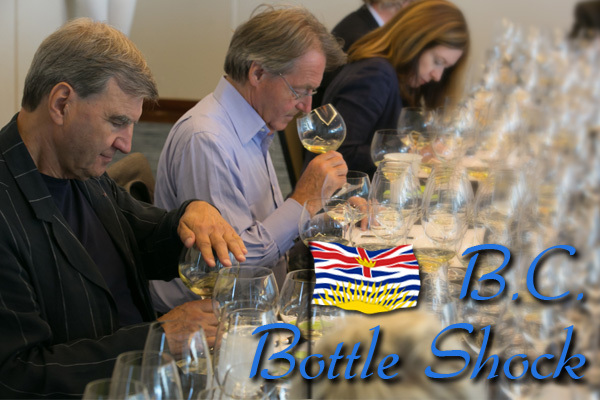 I enjoyed last week in Summerland participating with some 30 other “pros” in The Second Annual Judgment of BC Wine blind tasting to see how British Columbia wines are stacking up to comparable values around the World. British wine critic Dr. Jamie Goode, and American wine writer Elaine Chukan-Brown currently the American Specialist for JancisRobinson.com and a contributing writer for Wine & Spirits, scored the wines along with 29 expert Canadian wine judges You may recall the first one was written up August 31, 2015 on this Blog as BC Bottle Shock with Steven Spurrier where Chardonnay disappointed but Syrah triumphed with CC Jentsch 2013 ranked #1. 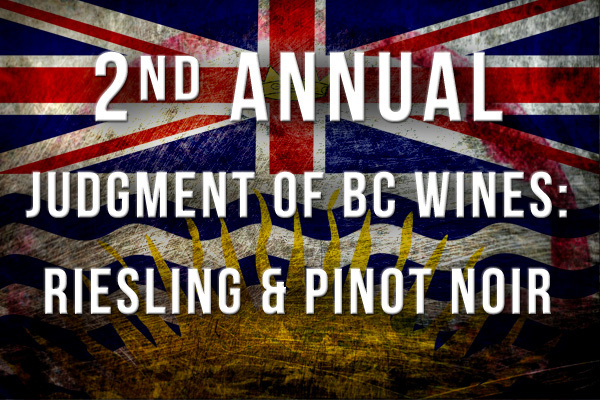 This time the choices were Riesling and Pinot Noir again curated by wine educator DJ Kearney (@djwines) and Wines of British Columbia (@WineBCdotcom; www.winebc.com) pitting 6 BC wines against 6 acknowledged global benchmarks for both grape varieties. The goal of these tastings is to honestly assess the current state of grapegrowing and winemaking in BC in order to provide a clear perspective of the distinct characteristics of British Columbia wine in relation to global standards, and to achieve a focused vision for the continued evolution of the BC Wine Industry. Riesling is the 4th white variety by acreage planted (some like Tantalus Old Vines date from 1978) behind Pinot Gris, Chardonnay, and Gewurztraminer. Drier more backward wines seemed to get less votes than sweeter ones with Tantalus having very high quality but presently austere with vibrant high acidity hiding the underlying intense fruit from older vines. Give it a couple more years to integrate and it will show very well indeed. The Top Two were truly outstanding wines and deserving of their top ranking. Impressive showing to have two BC wines in the top three. Pinot Noir is 2nd behind Merlot among the red varieties by acreage planted in BC. The Top 3 were all very worthy from the proven regions for the grape of Burgundy, Oregon and Central Otago in New Zealand followed closely by the BC wines solidly in 4, 5, 6, 7, and 8th positions. A top BC contender could have been the outstanding Foxtrot Vineyards but it was not shown in this tasting. Interesting to note that the style of the top commercial selling “very sweet” Meomi was not supported by these judges. Excellent future for pinot noir in British Columbia and the best is yet to come! Have you tasted any of these wines?